Claim your Free Dose of Revolution for Cats! 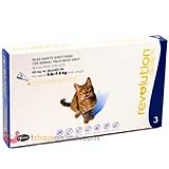 Purchase any 6 pack of Revolution for Cats from VetShopAustralia.com.au, and receive a FREE monthly dose of Revolution for Cats! Simply print the form below after you make your purchase , fill in the details and send it off to receive you FREE Revolution. 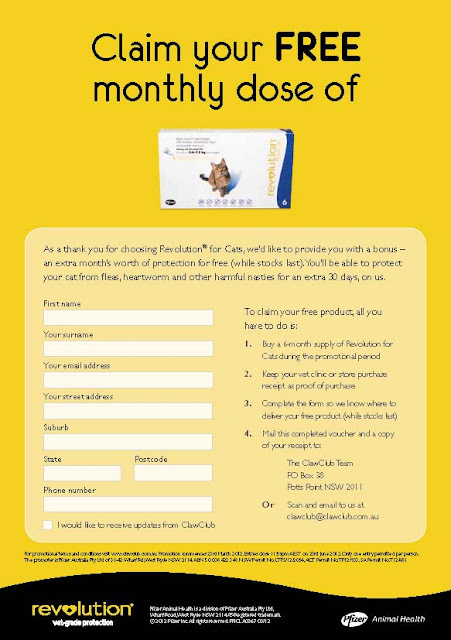 *Visit www.clawclub.com.au for full terms and conditions. Purchase your Revolution for Cats Now! that's like over 16% off! Thanks Vetshop! Aussie Pets All Ears This Easter! Kong Tag and Win Facebook Competition!